For the past few years the dancehall scene has been completely dominated by the likes of Vybz Kartel and Mavado. Almost all the rhythms going out had either one, or in some cases, both of the entertainers featured on it. It is clear that the thinking amongst the producers was that these men were needed to guarantee the success of the project. However, one listen to the recent releases from emerging producers and you will see that is clearly no longer the case. Young producers seem to be more focused on releasing quality productions that display their skills and create awareness about them. They no longer see the need to get a brand name artist on the project as they are finding that going that route is simply too costly. Digital Sham, owner of Digitalize Records and Phamily Productions is one such producer who shares that belief. Since the start of 2011 Digital Sham has released two rhythm driven albums both collectively featuring the likes of Fyahkin, Dexta Daps, Harry Todler, Unicorn and a host of others. He has just released his third album for the year and again has decided not to invest in any of the big brand name acts. His latest album entitled, Hill Top Riddim, features himself, Karamanti, Ju Ju Irie and few others. Sham believes that the cost of getting more established artists on the projects are just too much for the upcoming producers. And unfortunately, getting the big names does not mean that you will get record sales or mass amount of downloads. 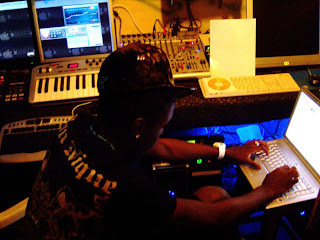 Most producers now prefer to put the money towards promoting the songs, as that is also very costly these days.